Baptism is the primary sacrament in the Christian Church. A sacrament is an outward sign (like a symbol or ritual) which represents a spiritual gift from God. Baptism represents the inclusive love of God and celebrates someone becoming a Christian and being welcomed into the body of Christ (the church). Baptism is a once-in-a-lifetime act and can occur as an infant, child, adolescent or adult. By baptising children and babies we make it clear, as Jesus taught, that all are welcome in God’s kingdom. Children are valued as equal members of the Body of Christ. Baptism in the Anglican Church is recognised by all other mainline churches (and vice versa). A final promise is based on the commandment of Jesus to love God and our neighbour as ourselves. You can find our more in the info sheets below. The Godparents info sheet below gives more information but please note the requirement that Godparents must have themselves been baptised. If you are looking for baptism for your infant, this can take place in a couple ways. During our 10:00am Sunday worship. Many families opt to have their child baptised during the First Sunday of the Month JAM service which includes more child-friendly worship and songs. A ‘private’ baptism at 12noon on a Sunday. This is a simple service that takes about 30 minutes. Families are invited to choose bible readings from a selection for the service and consider family members who might like to read them in the service. There is no specific charge for baptism, but as you can imagine, the cost of maintaining our church and an active Christian ministry here is met only by donations, so we encourage baptism families to make a donation. If the baptism is held during the 10:00am worship then a donation can be made through the offering plate that is passed around. 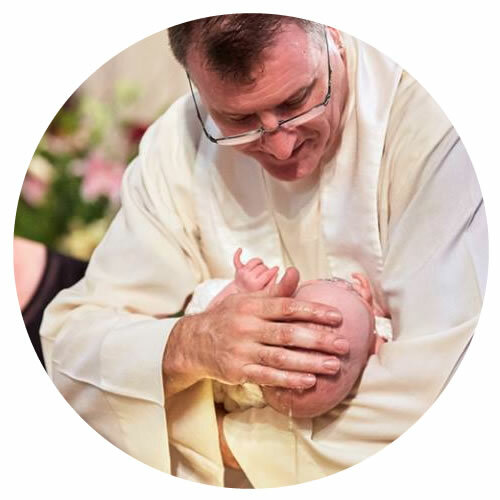 If the baptism is held in a private ceremony then then a donation can be made to the priest on the day or through the parish office in advance of the baptism day.